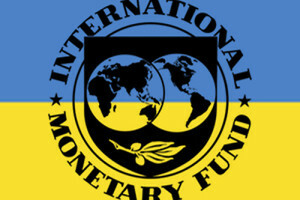 After the International Monetary Fund’s (IMF) approval on March 11 of its $17.5bn loan package to Ukraine, with $5bn due to flow immediately to bolster Kyiv’s dwindling coffers, the population could be forgiven for thinking the material hardships of recent months will start to ease. Wrong, as President Petro Poroshenko made abundantly clear on March 10. “Life won’t improve shortly,” Poroshenko warned in televised comments a day before IMF chief Christine Lagarde blessed the crucial injection of funds, as he spoke about the country’s reforms unfolding in “tough wartime conditions”. “If someone understands the reforms as improvement of people’s living, this is a mistake,” added Poroshenko, also announcing a four-fold increase in defence spending that will inevitably impact already limited means for social welfare and pensions. At the same time, the broader cost of the loan and another $7.5bn expected from other international organizations is sinking in hard to consumers. Under austerity measures demanded by the IMF, gas prices, for example, will be brought into line with EU levels, soaring 280% by 2017. “I didn’t know they will increase, especially that much,” said pensioner Valentina Podenko, 77. “I’ll just have to stop eating I guess,” she added with a gallows humour laugh that often accompanies such blows in the former Soviet republic. Overall, the picture for Ukraine remains grim by a whole pile of yardsticks: rampant inflation – officially hitting 34.5% last month but likely much higher in reality – casualties from the fighting (more than 6,000 killed), endemic corruption and towering foreign debt, to name a few. Repayments on the latter in 2015 will effectively gobble up the first tranche of the IMF loan. Ukraine has to make some $5.4bn of foreign debt repayments this year, with central bank reserves down to just $5.6bn on March 1. It all makes for the perfect storm for Poroshenko as he navigates his first months in power. Since the confectionary tycoon was elected last May, his initially healthy public support began to tail off from November. In February, his detractors overtook his supporters, 46% to 45%, according to a recent survey by R&G Group. But for now he is still going strong enough to have his government push through requisite austerity measures. “He is the best we have at the moment and we will not get anyone better in the near future. At least the world is talking to him,” says Yelena Pazyna, 52, a housewife from western Ukraine. Tough calls have had to be made at the top of other national institutions. Faced with looming hyperinflation, the central bank on March 4 hiked interest rates from 19.5% to 30%. It also kept in place the requirement for companies to sell about 75% of their foreign currency earnings. The moves helped strengthen the floundering hryvnia to UAH21 to the dollar from its all-time low of UAH32 hit on February 26. “I am confident we won’t allow any panic in exchange offices or banks,” Poroshenko said as the currency drew breath again. But the population is under no illusions that large sums of loaned money won’t go astray. Memories are fresh of the institutionalized kleptocracy that thrived under ousted president Viktor Yanukovych and a succession of leaders and governments before him, whether pro-Russian or pro-EU. Many people think the new authorities are as bad across the board, despite some visible efforts under the gaze of foreign lenders to combat corruption. And by some recent indications, they still are. In January, presidential advisor Yuriy Biriukov claimed that 20-25% of funds allocated to the Defence Ministry were still going astray, adding that “total corruption” exists in the ministry itself. In conditions of quadrupled defence spending, the opportunities for graft will only rise. Meanwhile, no one has really started talking about the sums that will be needed to restore the vast economic damage caused by the fighting in the east. “Around 25% of the country’s industrial potential has stopped, around 10% has been physically destroyed,” Poroshenko said in March.